Caesars Entertainment Corp. (CEC) shares fell roughly 15% on Wednesday following the delivery of Tuesday of a bankruptcy report whose findings cast doubt on the ability of the company to continue forward with the Chapter 11 bankruptcy of its Caesars Entertainment Operating Company, Inc. (CEOC) unit. Caesars shares, traded as CZR, dipped under $6.50 at two separate points late Wednesday and early Thursday before rebounding slightly to about $6.60/share, off from prices around $7.50 earlier in the week. The latest tumble followed the submission of a long-awaited report on the financial reorganization undertaken in recent years by Caesars, through which a majority of its roughly $20 billion in debt was collected within its CEOC operating unit. Various members of a “second lien” group holding CEOC debt have filed several actions against Caesars and have contested the CEOC bankruptcy, alleging that Caesars moved its most valuable properties and brands out of the CEOC entity, leaving those debtholders holding an empty bag. The examiner’s report, offered this week by court-appointed investigator Richard Davis, largely sides with that viewpoint. Davis’s report runs to more than 1,700 pages, took a year to assemble, and details Caesars’ corporate and financial history reaching back to 2008, when the collapse of the global real-estate bubble left Caesars’ then-private equity owners, Apollo Global Management and TPG Capital, struggling under a debt load unsupportable by Caesars’ actual casino revenue. Davis’s report is non-bindng and does not include any direct accusations of criminal activity or fraud, but nonetheless sides with the second-tier creditors’ claims in most regards, generally agreeing that Apollo, TPG and Caesars executive board undertook followed a course of action that benefited themselves at the expense of those creditors. Davis’s summary states, “Aiding and abetting breach of fiduciary duty claims, again of varying strength, exist against the Sponsors [Apollo and TPG] and certain of CEC’s directors.” Those directors include the founders of Apollo and TPG, Marc Rowan and David Bonderman, respectively. The Davis report also states that it is more likely than not (a probability greater than 50%) that the aggrieved second-tier debtholders will prevail in their ongoing challenges to Caesars’ CEOC bankruptcy plans. Caesars had recently offered those second-tier shareholders an offer of $1.8 billion in what some viewed as gambit to stave off Davis’s pending findings. However, the Davis report asserts that the actual damages caused to the second-tier lienholder group likely fall between $3.6 billion and $5.1 billion. Not only does that make the group unlikely to accept the Caesars offer, even a low-end total of $3.6 billion might be more than Caesars could pay. 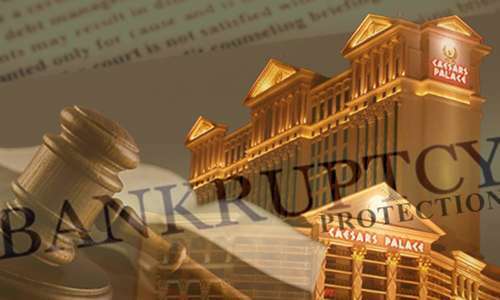 There is now an increased likelihood that the CEOC bankruptcy could be unraveled, and a company-wide (referring to Caesars Entertainment, or CEC) bankruptcy ordered in its stead. One possible outcome of that is that Caesars properties and brands are auctioned, piecemeal, to the highest bidders. For poker fans, that means that the highly profitable World Series of Poker brand could pass from Caesars’ corporate hands. It’s unlikely that poker players would see much of a change in the WSOP’s business-to-consumer operations. However, it does raise the possibility of the WSOP being moved from its home of more than a decade, the Rio All-Suites Hotel & Casino in Las Vegas. The Rio itself, as one of the 49 casino properties currently owned by Caesars, would also be among the entities for sale. “This is ultimately a dispute about valuation, process and whether CEOC was solvent at the time of each of the transactions. We disagree with the Examiner’s subjective conclusions and opinions on these financial issues. Indeed, the Examiner’s conclusions are completely inconsistent with the careful analysis and considered opinions of the independent and highly regarded investment banks and law firms who advised on these processes. The most significant transactions were negotiated and overseen by committees of independent directors of Caesars Entertainment and its affiliates.